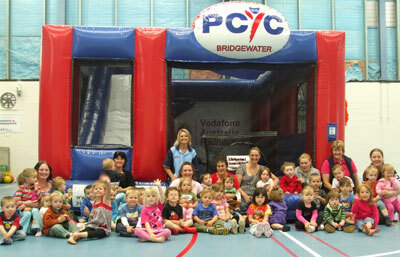 THE Bridgewater PCYC has just recently taken possession of its new jumping castle donated by the Vodafone Australia Foundation. the castle would add to the wide variety of activities currently on offer. The children from the Brighton Family Day Care enjoy the new jumping castle. “The jumping castle is already proving to be a real hit with kids attending the PCYC,” Mr Dean said. Ben has fantastic football experience having played ore than 100 games with the Tassie Devils. 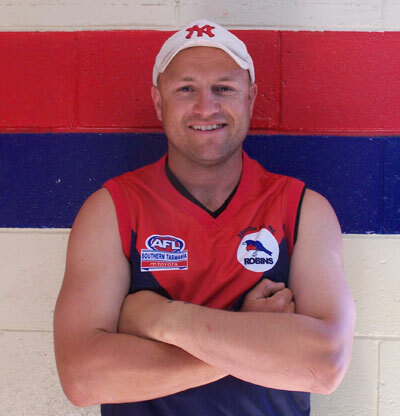 A past William Leitch medalist, Ben has won numerous best and fairest awards and more recently was the playing coach at Claremont. Ben Atkin, Brighton Football Club’s new coach. Ben’s vast experience and leadership skills will continue the upward trend of the success at our club, which has been buzzing since the end of the season. GRADE 8 Bridgewater High School student Tasmin (‘Minnie’) Pullen is the latest of a string of Bridgewater High students to achieve outstanding success in Tasmanian art competitions. 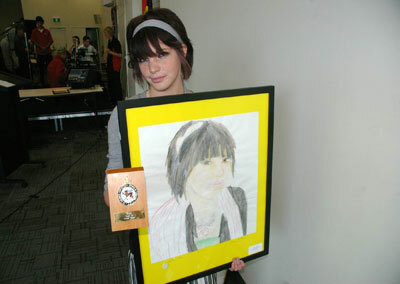 Bridgewater High student Minnie Pullen with her prize-winning art work. Minnie won both the grades 7/8 division and the overall first prize in the youth art competition held at the Royal Hobart Show last year. THIS year has once again seen students from Prep to Grade 6 at Gagebrook Primary actively involved in the ruMAD? (are you making a difference) program. 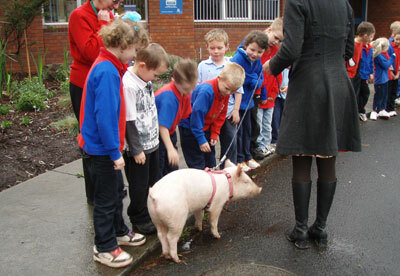 Students in Units A,B & D meet Brightside Farm pet pig with owner Emma Haswell. Gagebrook Primary School’s ruMAD? coordinator Steve Robinson said students explored and researched a diverse range of topics over the course of 2009. AS we head towards the Christmas season and the summer holidays, it is so exciting to see how our community is really humming. I have noticed, particularly in recent months, how the major projects that are progressing within the community are having such a positive effect on daily business and community life. THE process of planning to revitalise the town centre of Brighton is well underway and it is now at a stage where draft plans are being put to the community for input and consultation. Brighton Council commissioned Tasmanian environmental planning and landscape architecture firm Inspiring Place Pty Ltd to look at ways of improving the general appearance, accessibility, safety and functionality of the Brighton town centre along the Midlands Highway between Elderslie Road in the south and Pontville to the north to coincide with the start of the Brighton bypass. 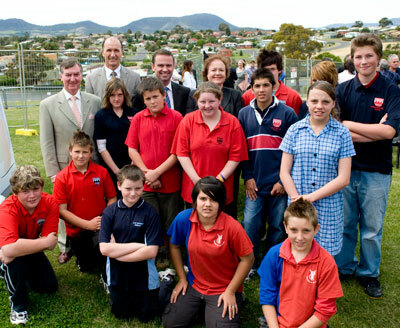 THE first inspection of the new multi-million dollar Bridgewater and Southern Midlands Learning Federation sites was undertaken at an official ceremony marking the start of the gymnasium for the complex, this month.